Looking for the best way to sell books in your bookstore? 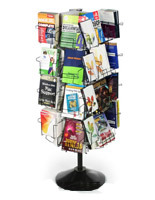 These book display racks & shelves are perfect for showcasing the latest best sellers and academic textbooks. 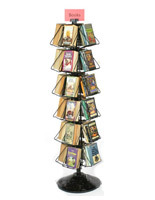 We carry a full selection of book stands, from traditional retail shelving to daycare and kids' racks. 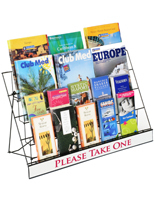 Keep any collection of stories or reference materials in order with a floor-standing or countertop merchandising system. There are even units that can be positioned in a corner to save space for other fixtures in store or classroom settings. 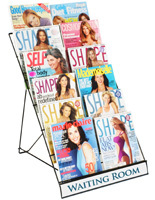 MagazineRackShop is a leader in the literature display sector, which is why we carry so many durable yet affordable options. Solid wood shelving and metal wire racks both provide exceptional performance and will last for years to come. 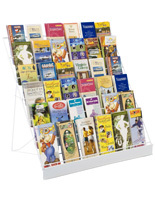 This line of literature holders is made to fit any location. 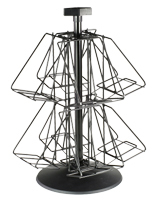 Whether they're made of strong metal wire or durable wood, our stands book display racks and shelves can match any room's décor. Our options include floor and countertop standing spinners and stationary shelving units that will feature titles with their high visibility design. 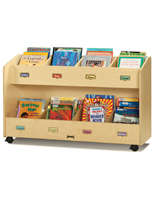 These fixtures are great for featuring publications for either children or adults support both bookstores and daycares. 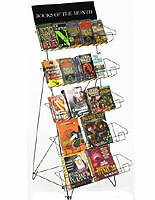 Outfit your retail store, resource center, or classroom with the right book display stand today!